Ghosts and paranormal activities are always fascinating, even for people who claim not to believe in either of them. 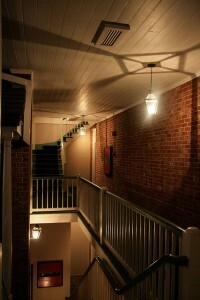 Have a look at some of the haunted hotels/bars and decide for yourself. This is not a list of hotels with ghostly sightings in them, these hotels vied for their own space with their gory list of gristly happenings and even deaths. They certainly deserve to be on this list. Some of the hotels listed below offer ghost tours to people who can stomach them, so you can very well be assured of the fact that these hotels have accepted their spooky guests, but do they really allow devilish happenings? Maybe some guests prefer to have some ghoulish entertainment. After all, who wants to stay in a mundane holiday every day? 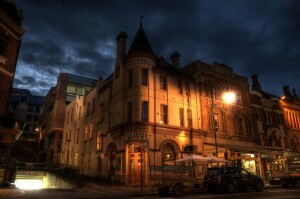 This hotel is located in one of the most haunted areas in the historic part of Australia. Russell Hotel was a sailor’s hostel once upon a time, and currently, home to several ghostly spirits. Room 8 of the hotel houses a ghostly sailor who just stands there and stares at guests. There are reports of people hearing sounds of both men and women calling out for help. It is believed that doctors and soldiers roam the corridors of the hotel. There was this particularly interesting story about a soldier who loves only country music. Many people have claimed to have captured the spirits of other soldiers on film. In fact, there is this story of a couple who was just about to enter a room when they saw a fully attired soldier in the room. The spirit stared at them for a while and then vanished. Cold spots, blazing hot spots, whispering sounds, sounds of doors closing and opening, footsteps going up and coming down – all these are the natural happenings here. 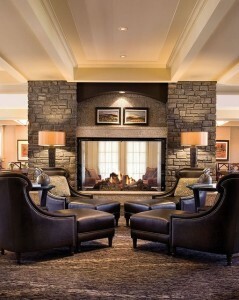 This is a grand and luxurious hotel in Canada and it boasts of a captivating spirit culture too. There is a friendly ghost there, by the name of Sam who they believe come to the aid of guests in trouble. He can still be seen lounging the long corridors of the hotel. The most eerie part of this hotel is where Room 873 once stood. Though the hotel authorities have sealed off the room, guests in the adjoining rooms still complain of weird noises coming from it. It is believed that a family, including a small girl was murdered in that very room. The room also contains a mirror that carries the fingerprints of the little girl; nobody has been able to wipe that away. This is a haunted hotel in New Orleans. There are plenty of haunted hotels in New Orleans, but this one definitely deserves a mention. There was an interesting story of a guest who woke up in the middle of the bed to find an elderly woman sitting by the side of his bed. She stroked his hair and told him that she will never leave him. The terrified guest checked out within the hour. There are repeated accounts of people giving rides to a young French girl, who appears to have lost, only to realize much later that she is nothing but a ghost. A five star-hotel that stands mightily in the most sophisticated region of London’s West End is witness to plenty of ghostly happenings and unwarranted sightings. People even claimed to have seen Napoleon III’s ghost in the basement of the hotel. 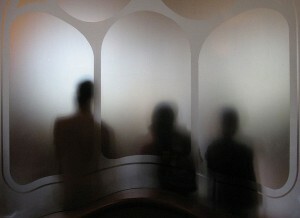 There have been reports that say that the Room 333 of the hotel is frequented by spirits. Ghostly spirits taking fluorescent shapes in the night have disturbed people staying in that room. The hotel boasts of 5 regular spirits who took residence in the hotel on a permanent basis. Ghost Hunters have certified all the hotels mentioned above as “ghost visited” hotels. The paranormal activities that happen there are not faked and the presences are very, very real.